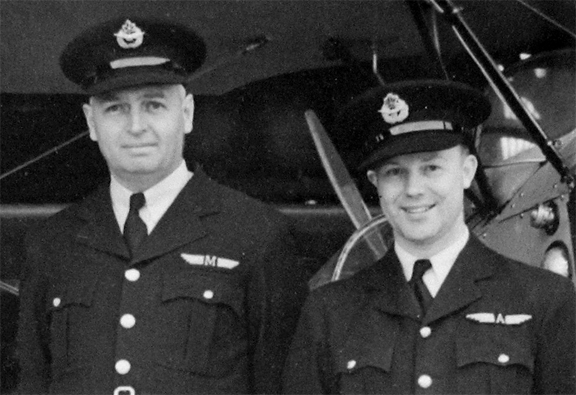 The British Commonwealth Air Training Plan was formed in December 1939 to address the need for aircrew training to meet the needs of the Commonwealth. Although not limited to Canada the great majority of schools and graduates were trained in Canada. At the plan’s high point in late 1943, an organisation of over 100,000 administrative personnel operated 107 schools and 184 other supporting units at 231 locations all across Canada. 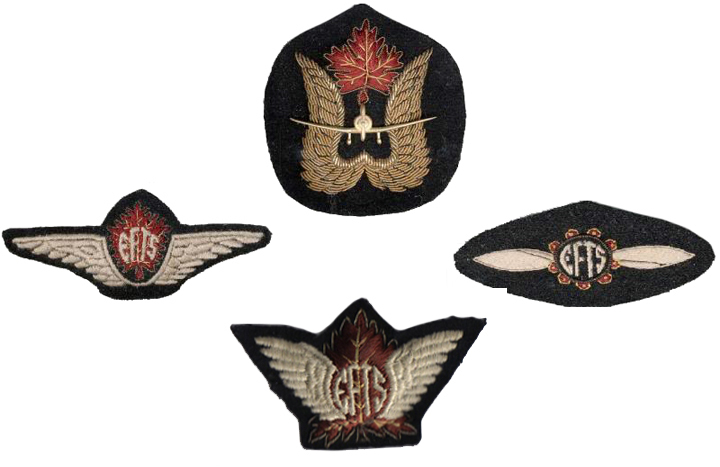 Examples of EFTS insignia. Note the the badges are not to scale in this image. With the outbreak of the Second World War many flying clubs, including the SCFC saw their resources being stretched to the limit. 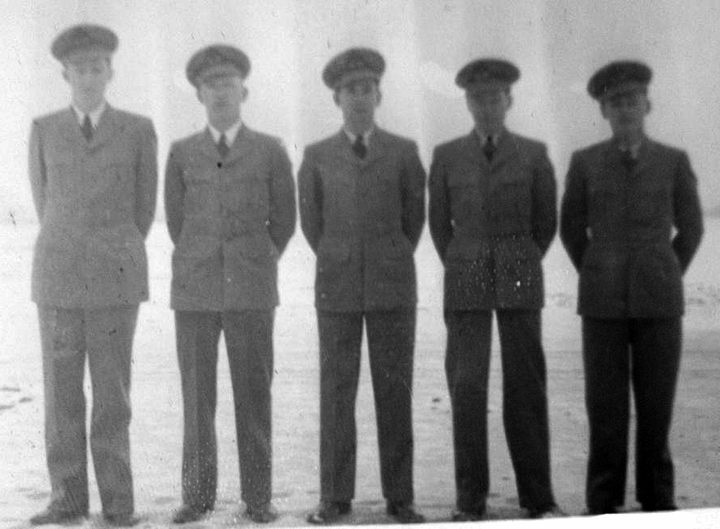 This was due to new members hoping to gain qualifications in an attempt to automatically qualify for the Royal Canadian Air Force. The staff of the schools were not members of the Royal Canadian Air Force but were civilians hired under contract by the individual school. Nonetheless, as they were in ‘command’ of the students during training the wear of a uniform was supported by National Defence Headquarters. Most schools standardized on a dark blue pattern although some chose a charcoal grey. 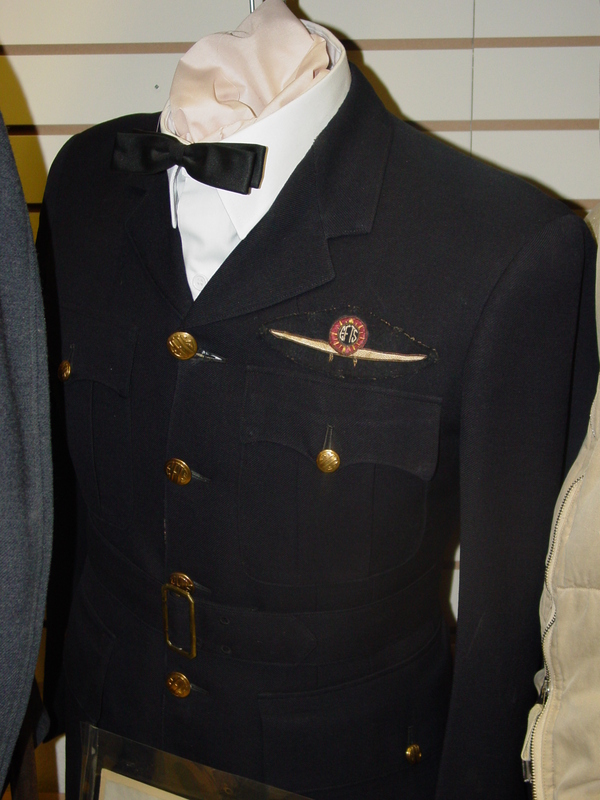 The cut was similar to the RCAF Service Dress. 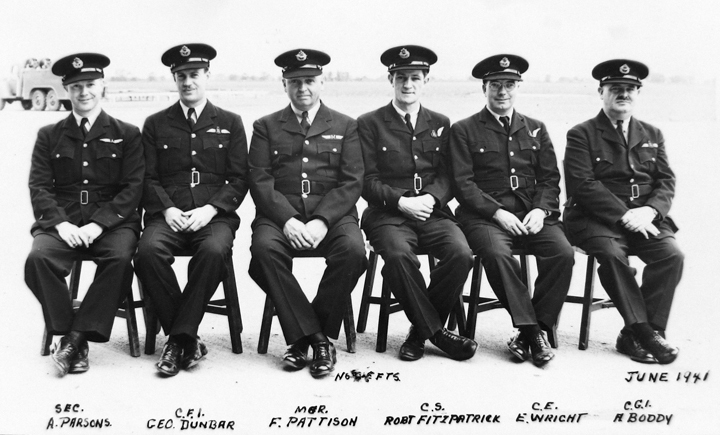 In the case of 9 EFTS, the initial uniform was of khaki material and only changed when the BCATP standardized on blue. 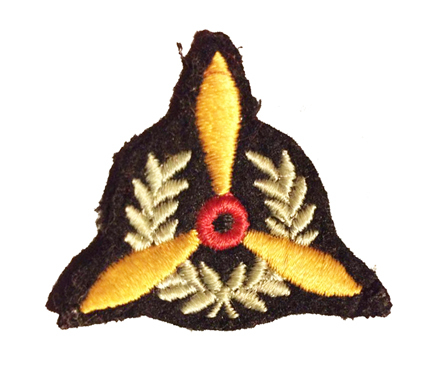 The use of insignia proved to be challenging as NDHQ regulations (supported by an Act of Parliament in 1943) made the wear of military uniforms and insignia by civilians illegal. This resulted in the schools designing and producing their own insignia which, by definition, did not require NDHQ approval. For this reason identifying the badges worn by these schools is difficult for modern collectors. 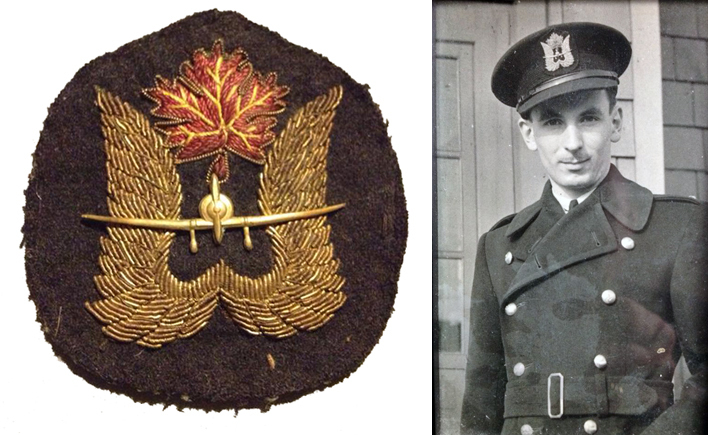 Thanks to the Canadian Flying Clubs Association there was some standardization of insignia. 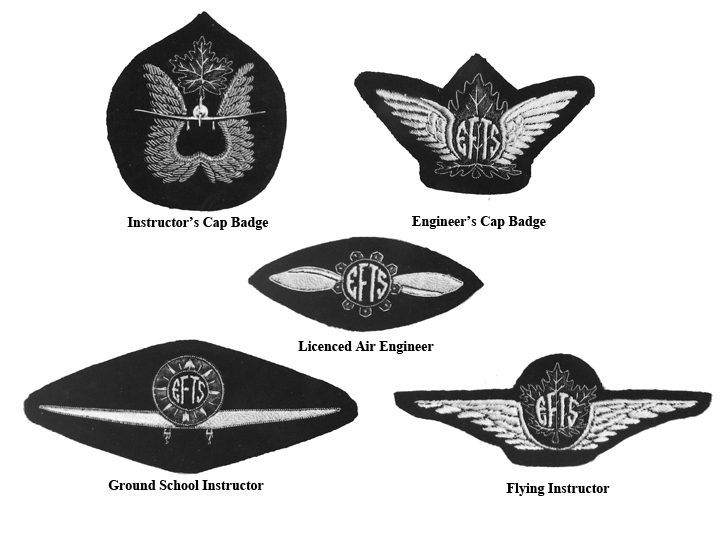 These included separate cap badges for flight instructors and engineering staff, as well as different breast insignia (calling them “wings” would be a stretch). Nonetheless, some schools developed their own badges. One of these was No. 9 EFTS at St. Catharine, Ontario. 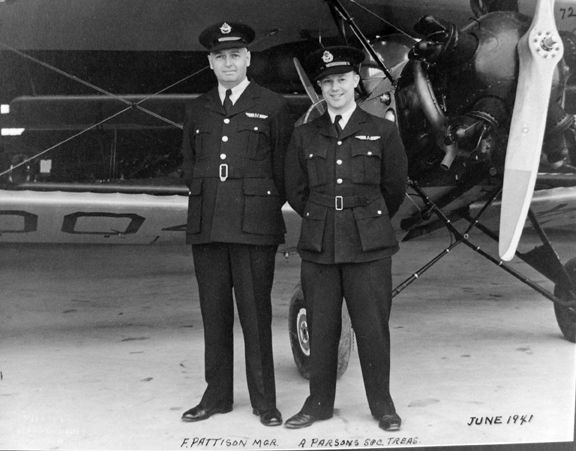 This school was established after Murton A. Seymour, president of the St. Catharines Flying Club (SCFC) travelled to Ottawa in 1939, in an attempt to have the government support air training through existing flying clubs. This goal was realized on August 12, 1940 and an order was received from Ottawa announcing that the opening date of October 15, 1940 and that the school was expected to accept 28 students. The insignia for No. 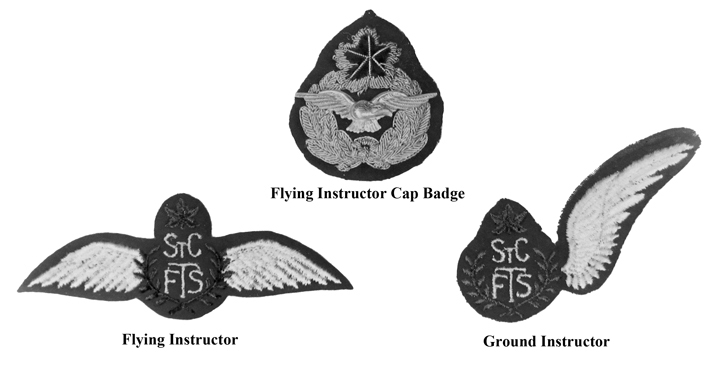 9 EFTS borrowed heavily from the RCAF in that it used a cap badge similar to the officer’s pattern, full wings for flying instructors and a single wing for ground instructors. 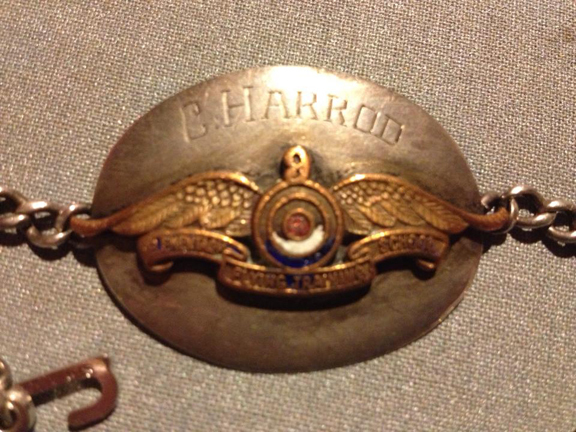 This latter badge has the appearance of the First World War Observer’s badge. Continuing the separation between skills, the engineering staff wore a different cap badge and wore breast insignia that could be mistaken for trade badges. 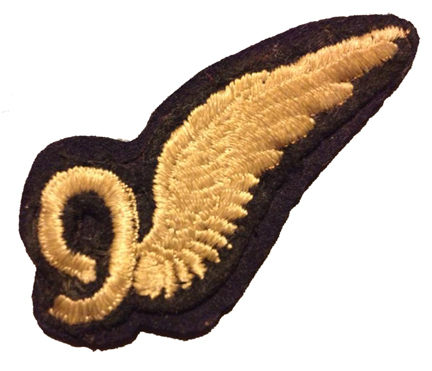 Not wishing to be left out, administrative personnel also wore a badge consisting of stylized wings with the letter ‘A’ in the centre. The manager of the school wore a similar badge but with the letter ‘M’ to denote his higher status. No. 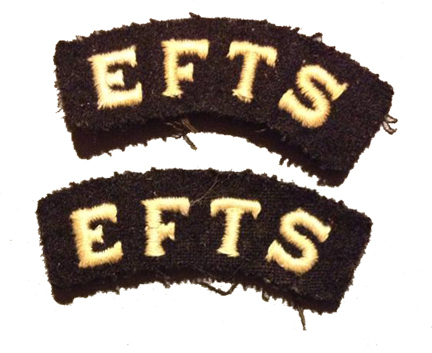 9 EFTS was formally disbanded on January 14, 1944. When the school closed it had accepted 2,468 student pilots. Of these, 1,848 graduated from the program. The total air time for the school was 134,011 hours. The study of the uniforms and insignia of the BCATP is a fertile ground and has not been adequately addressed although there are a few dedicated collectors who are actively researching this insignia. The author wishes to acknowledge the assistance and photos provided by Cam Harrod, whose father Charlie Harrod was an instructor at #9 EFTS, St Catharines. You can rate this article by clicking on the stars below. You can also leave comments by using the link at the bottom of the page. Great article! Is it going into a publication? Hi Mark. There is a need to undertake much more research into these but, as they were privately approve, the files no longer exist. It can still be done but no one has stepped up to the plate to do it – yet.